It’s time, it’s time for us to do the 30 Day Anime Challenge. Like many other anime bloggers, the 30 Day Anime Challenge is a 30 day challenge whereby I will answer 30 different set questions all based on anime. It’s something different from the usual anime and manga episodic and narrative posts. 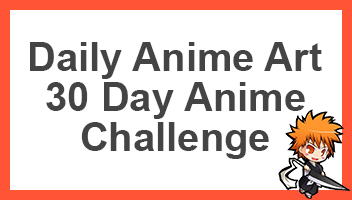 Check out the 30 Day Anime Challenge posts above, this challenge began on the 11/08/2015.